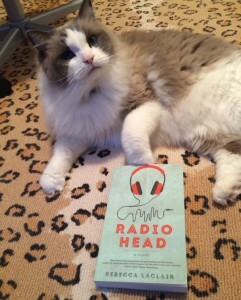 I’m so excited that Rebecca Laclair’s book, Radio Head will be published February 12. Many bloggers will review and they are excited. Here is a picture from Twitter. Radio Head is a coming-of-age book about a young woman named Shelby who can hear the music in all of us. With one touch, she’s in tune with your hopes and dreams. When she meets the lead singer of a famous rock group, she becomes an obsession the band cannot ignore. Go to www.RebeccaLaclair.com for more information. Omg! I got a great surprise!! Thank you @SaraLienPR can’t wait to read this!! @WriterRLaclair !!! It’s award season in Hollywood. From the Emmys to the Golden Globes to the Oscars, books are a major part of the celebration. Many nomination movies are based on wonderful books! Here is a list from this year’s nominees. It’s snowy and windy here in Michigan. Last week I started a new position with Pierce Cedar Creek Institute as communication coordinator. The Institute is about promoting environmental conservation and preservation. It is a wonderful place! Go to www.CedarCreekInstitute.org for more information. Also, I started a new book that so far has intrigued me. It is My Brilliant Friend by Elena Ferrante. I hope everyone is having a healthy and happy start to the New Year! We spent out time watching Sherlock and Dowtown! I wanted to recommend a few books for 2016. I have been learning How to be a Victorian by Ruth Goodman. It is a great piece of non-fiction to learn about grooming and all the manners of the Victorian era. I’ve also just started David McCullough’s Mornings on Horseback. Great reads for the beginning of the year!